Clearly legible signs that include the words Smoking Prohibited by Law with letters not less than an inch high or, the international “no smoking” symbol shall be clearly posted at entrances at places open to the public or places of employment were smoking is prohibited. Local counties have also passed laws calling for additional smoking restrictions in areas not covered by state laws. Individual agencies and multi-unit buildings such as condominiums have also enacted their own smoke free policies for their respective properties. A growing number of agencies and private businesses have developed individual policies banning their use in settings such the work place, restaurants or city operated buses. Current state law restrict sales of electronic smoking devices (ESD) including e-cigarettes by persons under 18. All enclosed/partially enclosed areas of employment. The employer can be a person, business, partnership, association, corporation, including the State or any of its political subdivisions, a trust, or nonprofit entity that employs the services of one or more individual persons. All enclosed or partially enclosed areas, including buildings and vehicles owned, leased, or operated by the State or any county. University of Hawaii at Manoa campus including parking lots. Licensed child and adult day care facilities. Hotels may not designate more than 20% of their rooms for smoking by guests. NOTE: Hotels can also establish their own policies making their entire building or franchise smoke free; i.e. Marriott. NOTE: Apartment building boards can also establish their own policies making their entire building and grounds smoke free. The Coalition for a Tobacco Free Hawaii has useful information for tenants and apartment owners who wish to go smoke free. Healthcare facilities with exceptions: Occupants in private/semi-private rooms in nursing homes & long term care facilities may request rooms where smoking is allowed. Private hospital tobacco free policies vary from facility to facility. Tripler Army Center is now tobacco free including a ban on electronic smoking devices. Were not covered under HRS 328J but have adopted policies; [COR.01.22], making prisons and adjoining campuses smoke free. 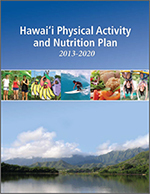 Hawai‘i County (Big Island) parks and beaches went free of all tobacco products in 2008, [Hawai‘i County Code 14-21b]. All Oahu County parks and beaches are smoke free. [ROH 41-21.3 amended by Bill 25 (2013) CD2 RD 1]. Exceptions: Honolulu county golf courses are excluded. Maui county parks and beaches are smoke free. [Maui County Code 13.040.20 amended by Ord 4120]. Kauai’s Lydgate Park (pavilion and Kamalani Playground) is tobacco free. No smoking at all Oahu bus stops [ROH 41-21.1 amended by Bill 28 (2013) CD2 FD1]. No smoking including electronic smoking devices within 20 feet of Maui county bus stops [Amendment to Chapter 82.0 of Maui County Code]. Oahu (Honolulu County) law bans smoking including electronics smoking devices in vehicles with occupants under 18 years or age. Big Island (Hawai‘i County) law forbids smoking in vehicles with occupants under 18 years or age. [Hawai‘i County Code, Sect 14-21 (12), Ord #10-33]. While state law restricts sales of electronic smoking devices (ESD) also known as e-cigarettes, some state and county laws prohibiting smoking cigarettes do not cover ESD. A growing number of agencies and private businesses have developed their own policies regarding use. Retailers and anyone selling tobacco products including ESD must post a sign at the point of sale warning customers it is unlawful to sell these products to minors under 18.. [HRS 709-908 amended by HB672 HD 2 SD 2 CD1]. 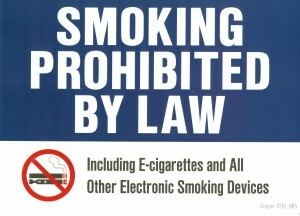 Effective January 1, 2016 Chapter 328J, Hawaii Revised Statutes is amended to prohibit the use of electronic smoking devices (definition) in places where smoking is prohibited. Vapor producing devices including electronic cigarettes are prohibited on Honolulu city buses [ROH 13-3.1-6]. Possession or use of electronic cigarettes by public school students is contraband (Class D offense). Aloha Stadium prohibits electronic/vapor cigarettes. Some private restaurants and movie theaters prohibit the use of electronic cigarettes. ESD use is prohibited in and around all state buildings under the jurisdiction of the Department of Accounting and General Services. It is unlawful to sell or furnish tobacco in any form to a minor including electronic smoking devices under 21 and It shall be unlawful for a minor under 21 to buy any tobacco product [HRS 712-1258]. Vendors of cigarettes and tobacco products must have a retail license. [HRS 245-2.6]. No sales of single cigarettes or packs with less than 20 cigarettes [HRS 712-1257]. No distribution of tobacco samples, products, coupons, or promotional ads in streets, sidewalks or parks within 1000’ of any public, middle or high school [HRS 328J-17]. No sales from vending machines unless the vending machine is in a bar, cabaret or establishment for which the minimum age for admission is 18 [HRS 328J-16]. No sales from lunch wagons within 1000’ of any public or private elementary or secondary school grounds [HRS 328J-16]. It shall be unlawful to sell or distribute foreign cigarettes not intended for sale in the U.S. or which lack federal health warnings [HRS 245-51]. Signs warning against the sale of tobacco products including electronic cigarettes must be posted at the point of sale. [HRS 712-1258)]. No sales or furnishing on Oahu of bidi cigarettes; tobacco wrapped in temburni or tendu leaf [ROH 40-18]. No herbal cigarette sales on Oahu to minors under 18 [ROH 40-20]..
On Oahu a person shall not use an unofficial ID card with a false birth date to buy an unallowable product (tobacco) [ROH 40.17.3].